Having problems with creepers keeping your kids awake at night? Get them this cool gadget and it'll put their mind at ease and keep them safe from the creepers. Looking for cool Minecraft gifts? If your child loves Minecraft, then they’ll flip out for this cool Minecraft item. 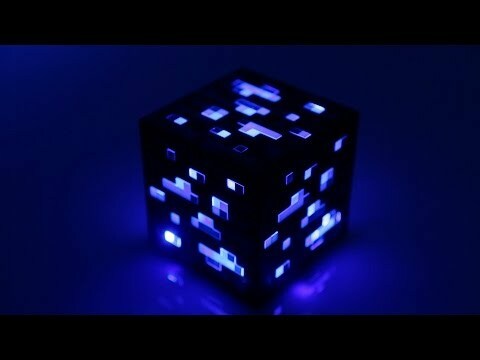 What could be cooler than your very own Diamond Ore night light to keep all the creepers and mobs at bay? This night light has 4 light settings that you just tap to adjust: Low, Medium, High and off. No need to worry about your child handling this light since it uses LED lights, which stays cool to the touch. Looking For Other Minecraft Gifts?